Satisfying as it may be, it’s not enough to know that manta rays aggregate at D’Arros Island. Where do they go when they’re not here? Lauren Peel and her team are beginning to find out. When people think of the Seychelles they often imagine white sandy beaches and bright green palm fronds on small islands, not the millions of square kilometres of Indian Ocean that surround the island nation. But that is all I think of: the ocean and the incredible marine life in it – and the little-studied manta ray population that lives beneath the turquoise waves of the Seychelles. Researchers have spent more than 10 years studying the manta ray populations in other parts of the world, but next to nothing is known about this one. As the leader of the Save Our Seas Foundation and the Manta Trust’s Seychelles Manta Ray Project, I hope to change this by determining not only how many manta rays live in this part of the Western Indian Ocean, but also how frequently they visit the shores of the 115 islands comprising the archipelago. Unlike animals that live on land and move through a two-dimensional landscape, manta rays move through a three-dimensional environment, and if I were to track their movements at first hand I would need to grow gills. Fortunately, major technological advances over the past two decades have meant that I don’t need to start looking at getting a gill transplant just yet! Instead, to answer my question the SOSF-DRC team and I decided that we would use satellite tags to record and monitor remotely the movement patterns of the manta rays from D’Arros Island. There was only one downside; satellite tags are expensive! We’d be able to purchase the new technology, but only two tags. With little room for error, we knew that the field work ahead would be a challenge. But considering that this would be the first time a satellite tag would be deployed on a manta ray in the Seychelles, the excitement in the team was contagious. The first hurdle was getting the tags to D’Arros Island. When I ordered them, the company warned that my required delivery date would be cutting it fine. Given the remoteness of D’Arros Island, flights can be spaced up to three weeks apart and if the tags weren’t with me when I got on that plane, there was a chance that we wouldn’t have them at all. The countdown was on. Five days to go … four days … three days – still no tags. Before I knew it, it was the day before I was meant to leave for the Seychelles and the tags still hadn’t been delivered. We were indeed cutting it fine! Thankfully though – just when I thought I would break the refresh button on my e-mail inbox – the notification came through. The tags had arrived! I got on the plane less than 18 hours later with two brand-new satellite tags packed safely in my luggage. As with any field work, time was a precious commodity. In early November 2016, the Manta Trust’s Guy Stevens and I had 25 days on D’Arros Island and we wasted none of them; we’d barely touched down on the grassy runway before we were jumping into the water to photograph the mantas. After months of planning and countless hours on the plane, nothing could compare to being in the water with these mesmerising elasmobranchs. All the waiting and hurdles were forgotten every time I dove for an ID shot and turned to look back at an approaching manta. The rays’ curious nature and grace left me in awe, and as they passed overhead I took as many photographs as I could. Over the next few weeks we would become familiar with some of the smaller mantas that we saw almost every day, whereas other individuals we would see only once before they left the shallow waters surrounding the island. Our surveys formed a critical component of our understanding of which mantas appeared to be resident and which were likely to travel away from the island, so we watched and waited. 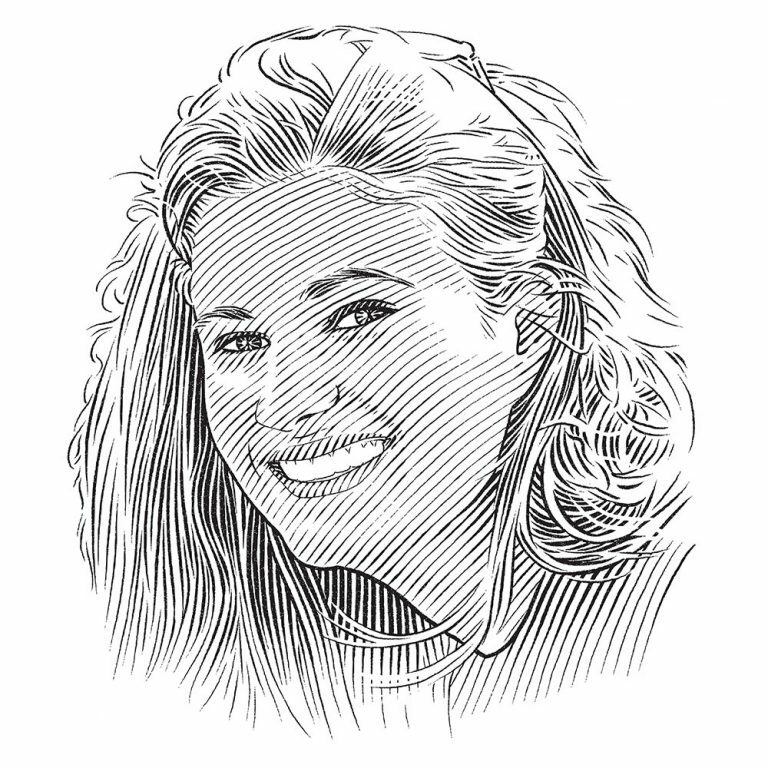 The timing – and the mantas – needed to be right for our tags. Studying the photographs we’d taken, we decided that deploying our satellite tags on large female manta rays would be most beneficial. Because we saw these individuals less frequently, and rarely on consecutive days, we believed that they would be the most likely to travel widely from D’Arros Island and reveal the full distribution of this population. Armed with these insights, in our last week on the island we calibrated the satellite tags and donned our dive gear. We would deploy the tags while scuba diving at the cleaning station just 200 metres (660 feet) offshore from the SOSF-DRC lab; at this patchy reef, which the rays frequently visit to have parasites removed by small fish, we would wait for the right manta to come to us. It didn’t take long. Our time spent surveying the population had paid off and after only 30 minutes a large female manta ray, ‘Shadow’, descended on the cleaning station. With a wingspan of three metres (10 feet), she was perfect for a satellite tag. As she hovered over the reef to be cleaned, SOSF-DRC lab manager Ryan Daly approached her cautiously, satellite tag at the ready. I held my breath; we were so close to deploying the first tag! Then, with a single movement, Ryan carefully released the tag. Before she swam out over the drop-off and into the deep blue water I caught a glimpse of the tag perfectly placed on her back. One down, one to go! We were nervous; would we be successful again? Returning to the cleaning station the next day, we deployed the second satellite tag just 24 hours after the first when we encountered ‘Medusa’, a female with a 3.6-metre (12-foot) wingspan. We watched her glide over the reef crest and approach the cleaning station. As the cleaner fish tended to her gills and cephalic fins, the second tag was attached and immediately began collecting data about Medusa’s movements. Celebrations erupted underwater. But deploying these tags had opened a floodgate of new questions. Once again, excitement was met with nervousness. Would the sensors on the tags work properly? Would the tags stay on for long enough? Would the batteries have enough power to transmit the collected data back to us? Only time would tell. Two days later, as the plane left D’Arros and my view of the palm trees and sandy beaches faded away over the horizon, I smiled as I thought of Medusa and Shadow swimming through the blue water below and taking us along with them on every step of their journey. Three months passed and by March 2017 both tags had released from the mantas. They had worked! We were finally getting an insight into the movement patterns of these charismatic animals. Our initial observations revealed that the Seychelles’ first satellite-tagged mantas seemed to remain relatively resident to the Amirantes Bank as a whole, completing offshore trips to the east and the north of the bank before returning to the shallow waters of the island chain. Shadow and Medusa spent most of their time in the relative shallows of the water column, both appearing closer to the surface during daylight hours and descending deeper in the water column at night. For the first time ever, we were seeing how these animals move through the Seychelles. As well as bringing us closer to answering my initial question, the tracking of these manta rays with the SOSF-DRC and Manta Trust represents an important first step in the process of establishing an appropriately scaled protective strategy for these vulnerable species in this part of the Western Indian Ocean. Only by understanding their distribution and by identifying the areas of habitat that are important to them will we be able to develop targeted management strategies to monitor and conserve their populations long into the future. In the coming years, the Seychelles Manta Ray Project will continue to work towards this goal. I can’t wait to find out what we will discover from the next satellite tag deployments at D’Arros Island in November 2017! The satellite track path of Medusa, a 3.6 m wide female reef manta ray, from D’Arros Island, Seychelles. Circles transition from green through to red to indicate Medusa’s travel path over time. 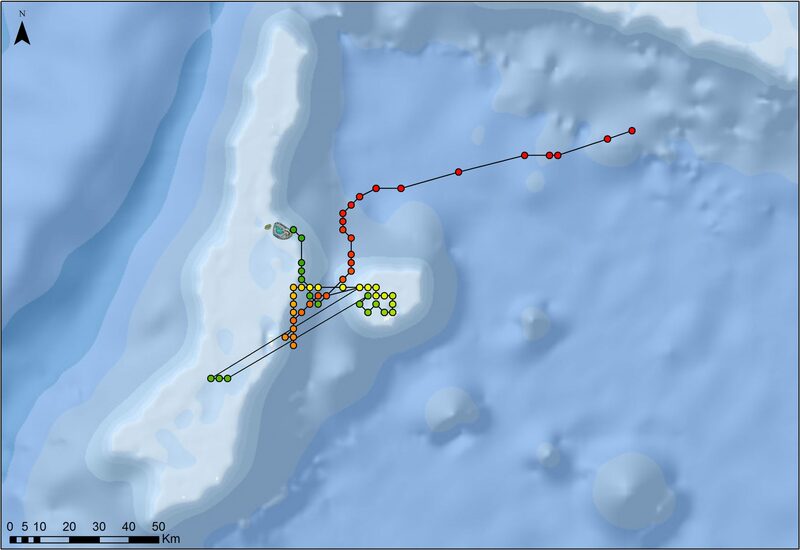 Medusa travelled approximately 400 km during the 59 days that she was tracked, spending the majority of her time within the Amirante Island Group [map] before beginning a journey towards the main Seychelles Bank. 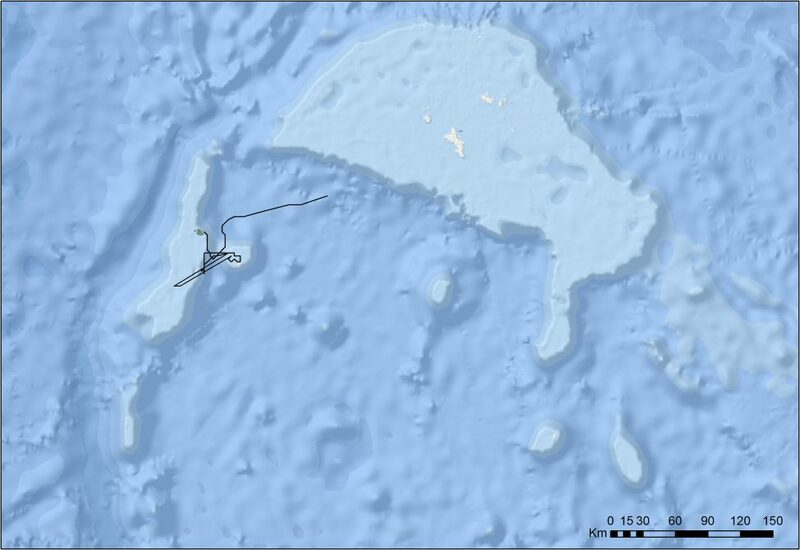 The satellite track path of Medusa, a 3.6 m wide female reef manta ray, from D’Arros Island, Seychelles. Circles transition from green through to red to indicate Medusa’s travel path over time. Medusa travelled approximately 400 km during the 59 days that she was tracked, spending the majority of her time within the Amirante Island Group before beginning a journey towards the main Seychelles Bank (map).